My husband and I chose Montclair for the school system. We have been happy with the magnet system and my child has thrived in the rich arts programs offered in the schools attended. Our happiness has faded over the last school year. The amount of testing and time preparing for tests is out of control. Now we face PARCC. This district has claimed that PARCC is not a curriculum and they won’t be teaching to the test. I can hardly believe this is the truth when my child comes home and says they are using chrome books in Social Studies class. Two full classes were used this week for PARCC practice and the teacher has mentioned that hopefully they’ll be doing this once a week. My husband and I are getting very concerned as to how much this high stakes testing is taking away from actual learning. The amount of time preparing for a test, and then the amount of time taking the test, which will be given twice a year now. We realize that these aren’t just concerns for Montclair, but it is affecting education everywhere. 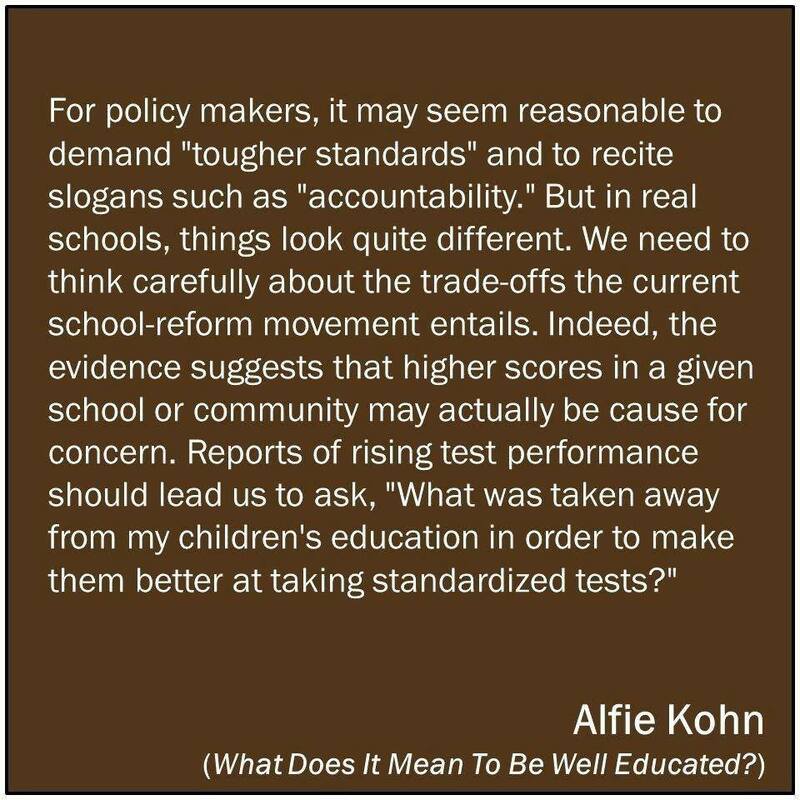 Yet, we have heard of school districts that are pushing back on this type of testing. Not Montclair! When we reached out to the Montclair BOE, their answer was that its a state mandate. People also address similar concerns regarding these tests at BOE meetings, only to get blank stares back. I have to say, we’re seriously reconsidering where we want to live to get the best education for our child. We desperately need new leadership who will fight for what is right for our child and all of the children of Montclair. I haven’t seen any signs of that yet. 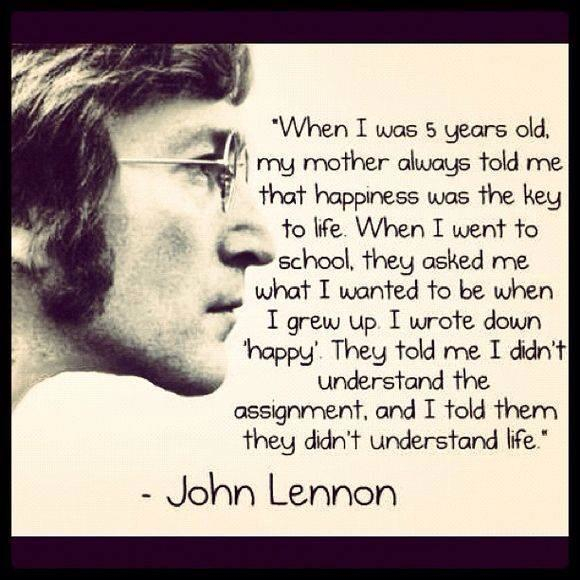 Do you see less hands on, experiential learning? What about field trips? Is there less time for art, music or gym? Fiction? What kind of homework are you seeing come home in your child’s backpack? Is it primarily multiple choice worksheets? Consider asking your children’s teachers, principals, the Superintendent, and the BOE members: What learning time is being lost due to test prep, especially for the PARCC? How much time are students spending on PARCC test prep in class and/or at home? 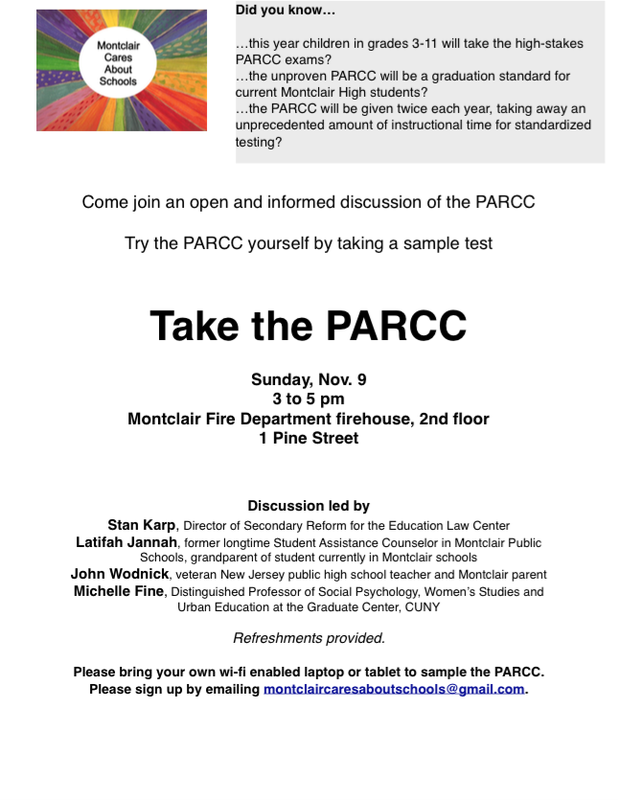 For more on the PARCC, come to our Take the PARCC event happening on Sunday, November 9 from 3-5 pm. Like what you see here? Please pass it on.